According to reports last week, Israeli planning bodies were expected to meet and advance plans for nearly 5,000 new settlement units at a meeting on April 1st. However, that meeting appears to have been delayed. 281 new units in the Beitar Illit settlement. Mitzpeh Yericho, just west of Jericho. On April 2nd, the Jerusalem District Planning and Building Committee approved the Glassman/Or Sameach yeshiva project for public deposit. 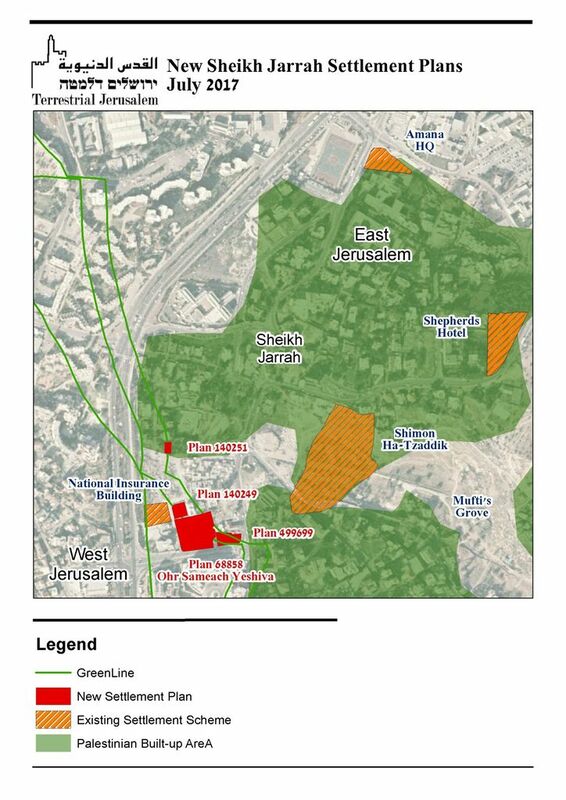 The plan, as FMEP has repeatedly covered, seeks to build a Jewish religious school (a yeshiva) at the entrance of the Sheikh Jarrah neighborhood of East Jerusalem. The yeshiva is one of several settlement projects set to flank the road leading into the Sheikh Jarrah neighborhood, designed to strengthen Israeli settlers’ hold on the neighborhood and seamlessly connect the growing settler enclave in Sheikh Jarrah with West Jerusalem. On March 31st, the Palestinians Sabbagh family was handed another eviction notice, weeks after Israeli authorities rejected the family’s latest petition to reconsider the legal authority by which settlers are seeking to evict them from their home of 60+ years. 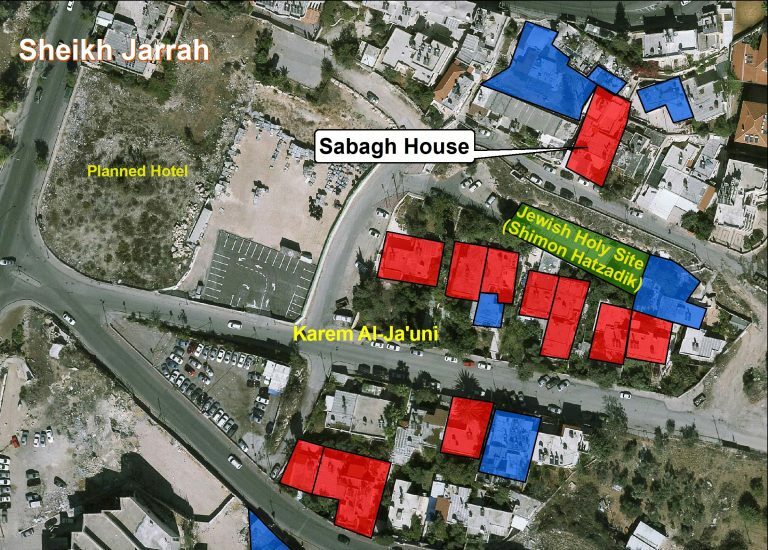 Peace Now reports that the Sabbagh family is still attempting to delay their eviction, but is unlikely to succeed. 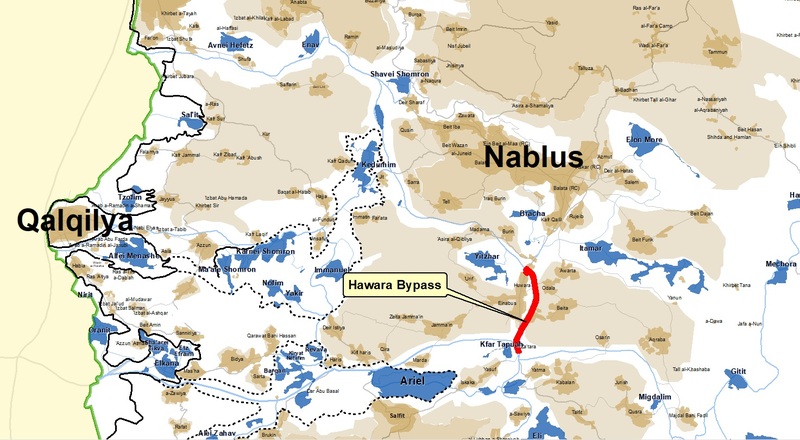 The Israeli Defense Ministry announced that it approved the construction of a new bypass road to divert settler traffic around the Palestinian village of Huwwara. The new road will allow settlers to avoid the Huwwara interchange, a perpetually congested section of the main West Bank highway, Route 60, and an area that has been a site of Palestinian violence against the settlers, including a recent incident where a settler shot and killed a Palestinian teenager allegedly attacking the settler. Dubbed the “Huwwara Bypass,” the new road will be built on land historically a part of the Palestinian villages of Huwwara and Beita, which Israel seized for security reasons. For the past six years, Israeli farmers have been farming Palestinian land that was left on the Israeli side of the separation barrier, an area Palestinian landowners are largely barred from entering. In a new report, the Israeli NGO Yesh Din analyzes the legal pretexts Israel has created to systematically legalize outposts across the West Bank that were built in contravention of Israeli law and on privately owned Palestinian land. The report reviews and rebutts the findings of the “Zandberg Report” – which (approvingly) outlined various legal tactics and tools the state can use to save those outposts. 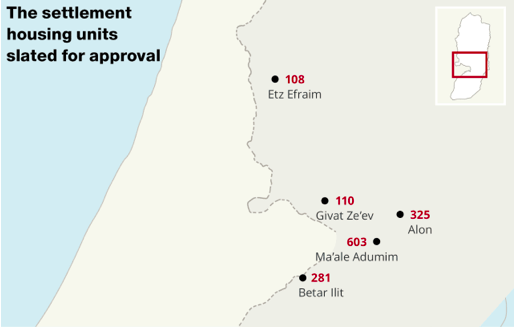 Yesh Din found that the Zandberg Report’s recommendations allow for 99% of all unauthorized outposts to be retroactively approved within 2-3 years, anticipating that the government will declare 20 new settlements in the process. Yesh Din’s report also examines how Israel has already undertaken the first step in this effort, by introducing the “market regulation” principle into the courts. If validated by the courts, the “market regulation” principle will provids legal cover to ‘regularize’ 2,700-3,000 illegal structures built on privately owned Palestinian land. Al-Haq, the preeminent Palestinian human rights group, published a report documenting Israel’s appropriation of the ‘Ein Fara spring, located on the lands of the Palestinian village of Anata northeast of Jerusalem. The spring historically served as the primary source of drinking water and agricultural water for Anata and several surrounding villages. Since 1967, Israel has appropriated the spring and its waters, and built five settlement on the surrounding land. Israel renamed the spring the “En Prat Nature Reserve” and promotes religious tourism at the site, as does TripAdvisor. Writing in the Jewish News Syndicate, Yochai Dimri (chairman of Har Hevron Regional Council) makes a pitch for the Israeli public and elected officials to drop hopes of a “peace deal” in favor of socio-economic “co-existence” initiatives that normalize the settlements. As FMEP has documented, this message lines up exactly with the activities and priorities of the Trump Administration, particularly with Amb. David Friedman who has been in partnership with the Har Hevron Regional Council to promote the Judea and Samaria Chamber of Commerce as an Israeli-Palestinian business cooperative.